Rachel didn't have school on Friday and Andrew doesn't have class on Friday afternoons so we decided to go on a tour of Duke's campus (for my sake, since I hadn't been there yet). The campus is beautifully Gothic—even the newer buildings on campus tweak their modernity to have a Gothic feel by adding arches or crenellations or other cool things. Both girls are fairly convinced that Duke is Hogwarts. When everyone was complaining about being tired after walking around campus for two hours, Andrew said that we should be fine because BYU is bigger than Duke. So I pulled out those nifty numbers from Wikipedia and Andrew said, "But I'll bet Duke Forest is included in that." So let's take out Duke Forest, which is 7,200 acres. * Now Duke's campus is only 1,400 acres, which is still more than double BYU's campus. "Oh," he says now, "But that includes Duke Garden, which is also huge." *All of my numbers were taken from Wikipedia (here and here) and were liberally rounded, but you have to admit: they prove my point. We were all very justified in being tired after walking around in the heat for two hours. The dorms spill out into beautiful courtyards where you can study or chat or be harassed by squirrels. Funny story: We brought our little point'n'shoot camera with us and after I took these pictures of the squirrels, Rachel asked if I would send them to Auntie Emily (who loves squirrels). I told her we'd have to wait until we get home. She asked why. So I told her our camera can't connect to the internet and she was like, "What?!" I know...so what good is it? Andrew tells me there is even a courtyard with outdoor air conditioning. Somehow they've rigged the sprinklers to let off a cool mist every few minutes but it's not wet enough to actually get things wet—it just cools off the air. I don't know if I believe him because he didn't take us over there...and it was a really hot day. Obviously he would have taken us there, had it actually existed. That was all on the way to see the chapel. Rachel was really excited about visiting the chapel again because she wanted to see the "statues of dead people." When I questioned her about this, I said, "I'm sure they're not dead people. Statues might seem like they're dead because they're not alive but in this case that's different from being dead. They're just statues, not dead people." And then she explained, "No, Mom. They're dead. Like, they have these boxes and then there are statues of people lying down on the boxes. I'm pretty sure they're statues of dead people." Right. Those would be statues of dead people, wouldn't they? Unfortunately we didn't get to see them because the front of the chapel was blocked off for a wedding recital. Rachel was a little bummed about that. I was pleased to see all the scaffolding because it made the cathedral seem familiar. Almost every cathedral I've ever been in has had scaffolding up either inside or out (Europe, I'm talking to you). There are interesting statues and reliefs all over campus that I kept pausing to look at and every time I did Rachel asked me who they were. "Some...guy...holding a coat of arms," I'd tell her. "Yes, but who? Who is it?" "An old man reading a book with a child." "Yes, but who is it?" "Because Duke was built a long time before Harry Potter was written." "Good point, but I still don't think it's Dumbledore." I was very happy when we got to the garden because there were no more statues. But then Rachel said, "What kind of flower is this?" "Why not? Oh! It's sticky—touch it right there. It's sticky." "I don't want to touch sticky things. I'm carrying the baby." "Oh. Why do you think it's sticky? Look! The pond!" I was very happy when we got to the pond because Rachel was quite distracted by the fish and the lilly pads (which were huge, by the way). But then the kids started asking for snacks. "Can we eat by the pond? Can we, can we, can we?" they begged. "Sure! "Andrew agreed, reaching for the cooler. "Wait," I said, looking around and seeing nothing but (very lovely) stonework. "I really need to put Benjamin down for a while. Can we eat on the grass, maybe, so that I can lay him on the grass?" "But...but...but," Rachel stammered. And then she longingly sighed and said, "The pond.... I've always wanted to eat by a pond." I looked longingly at the grass and sighed. I didn't want to break her heart but my back was killing me. And then I saw it—at the far end of the field. "Isn't that a pond over there?" I asked. "We can eat by that pond, on the grass. Win, win...win." Rachel was easily convinced and ran off like a rocket. We found a nice patch of grass in the shade of a tree by a little brick wall at the edge of the pond (that ended up being more of a sludgy drainage pond than a beautiful koi pond, but whatever). Those of us who wanted to lie on the grass did and those of us who wanted to sit on the wall did and everybody was happy. Everyone except, perhaps, for this heron. It was standing so still that at first we thought it was a statue. Actually, I thought it was a heron but Andrew convinced me it was a statue but then we got closer and I convinced him that it was a heron. Rachel went to go visit it. She was much braver than I thought she'd be, given her wariness of living organisms (cats, dogs, horses, birds, bugs, frogs, etc). But then it turned around and started walking toward her and she got freaked out and ran away. That was probably a good thing, too, because the beak on that thing is massive...and pointy. The heron was really fun to watch and I think the feeling was mutual because it seemed to enjoy watching us, too. Whenever we got close to the pond it would start stalking toward us. "What's the heron doing, Momma?" "Oh, it's just hunting, I think." "What? What is it hunting? What do herons eat? What's it hunting? What?" The girls didn't want to leave the garden. They wanted to stay and play, of course, but they got over that when we got back in the woodsier part of campus and we started seeing squirrels again. Then we were stopping every few feet so they could run after a squirrel or two before heading on our way again. They wore themselves completely out. Miriam was lucky enough to hitch a ride in the stroller. Daddy was lucky enough to push the stroller briskly ahead of me and Benjamin. Benjamin and I were stuck with the unsavoury task of walking with Rachel, who pouted, "Why does she always get to ride in the stroller?" every time there was a lull in the conversation, which was often because our conversation consisted mostly of her asking why Miriam got to ride in the stroller and me answering that it was because Miriam's younger. It's hard to be five. It's hard to be every age. But it's harder when you don't understand that. Five year olds don't understand that. I've seen a lot of my friends throwing back-to-school dinners with a family theme to focus on for the school year. I think it's a neat idea but I'm, uh, kind of going crazy right now with trying to get settled here and am so not prepared to do anything like that. So I was thinking that maybe we should set a family theme for the new year (no, I'm not planning on achieving domestic homeostasis until then (at least)). 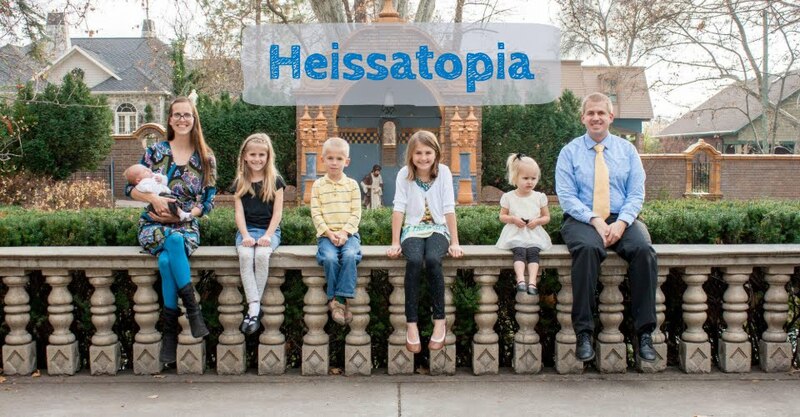 My idea for our family theme for 2013 (2013?! Whoa. Really?) is "Let us cheerfully do all things that lie in our power," because I think we could all stand to be reminded that if we do things we should do them cheerfully. You have the power to walk to the van. So do it cheerfully. I have the power to walk with you while you ask me a million questions about everything under the sun. So I can do it cheerfully. We'd all be a lot more cheery if we did everything in our power cheerfully, don't you agree? Sometimes I forget to be cheerful and I know my children do, too. Especially lately. So maybe we won't even wait until the new year. Maybe I'll just pull it out at FHE sometime and declare it the family motto until we choose a new one. There's no cake. There's no ice cream. Here's our motto. Hmmm...that sounds decidedly uncheery. Perhaps I should make an effort to be a little more festive. Anyway, Duke's campus is amazing. I have a feeling that we'll be doing several family outings to campus over the course of our five years here because it's...well...free. And awesome. But mostly because it's free. Andrew might get a little sick of it but I don't think the kids and I will. Rachel's already looking forward to going back to find Hagrid's Hut (apparently there's this round garden house in the garden that they found when they went to campus when Grandma and Grandpa were here). Did you know that Duke was almost in Somerset County, New Jersey? At least, that's what my US History teacher told us. And it'd make sense since the Duke estate is there, in Hillsborough. But the state or county government or whatever wasn't keen on having a university funded by tobacco, so down to North Carolina they went. Gorgeous campus. If you have to be a student family for five more years, at least you get to do it at a beautiful campus. Muggles at Hogwarts? Lucky you! I sure miss it. Great pictures! It's so pretty there! It really does remind me of Hogwarts. Awesome. :) It looks like you guys are adjusting just dandily! If we had a family theme right now, it would be "you get what you get, and you don't complain". Again, maybe it's just as well that I'm not in charge of any kind of back-to-school festivities.